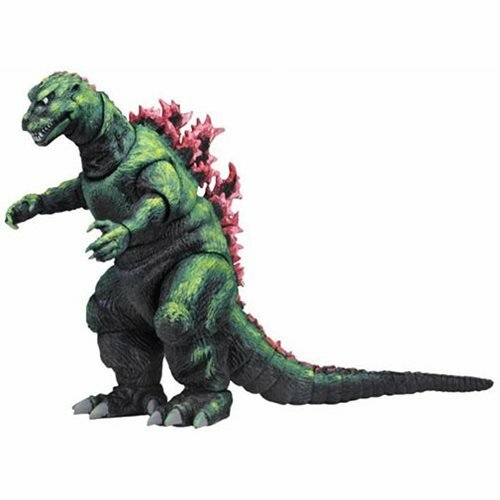 NECA goes back to the movie that started the reign of the most famous kaiju in the world! 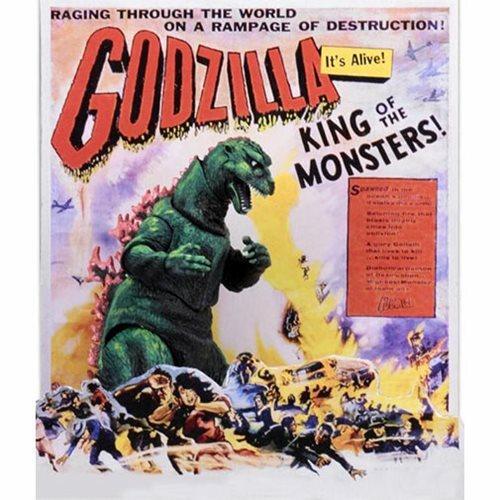 This version of the beloved monster is based on the one-sheet poster for movie's 1956 U.S. release, Godzilla, King of the Monsters! The figure measures 6-inches tall and 12-inches long from head to tail. It features over 30 points of articulation, including an articulated tail! 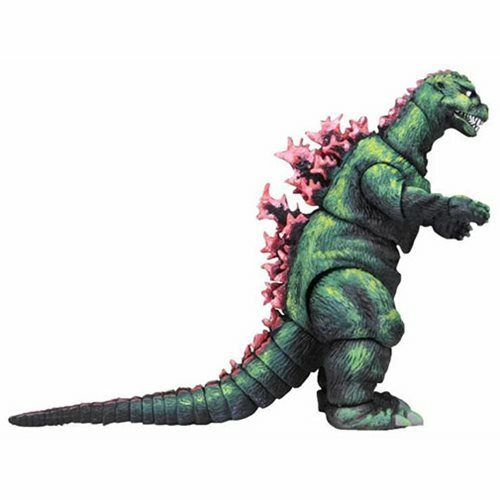 The package insert doubles as a foldable backdrop that brings the one-sheet to life-Godzilla can be posed in the fold of the backdrop creating a 3D version of the poster illustration in toy form. 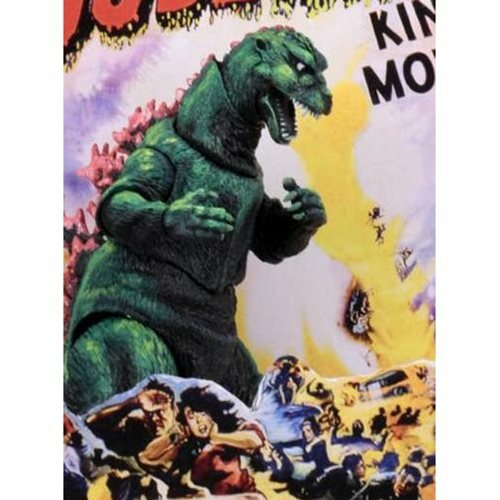 The Godzilla 1956 Movie Poster Godzilla Head to Tail 12-Inch Action Figure comes in collector-friendly window box packaging with opening flap.